Do you recognize this young lady? Association member Dennis Gottier has found this daguerreotype photograph among his mother's family items. 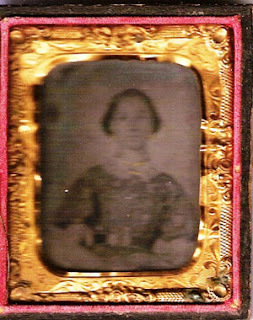 Daguerreotypes were commonly used from the 1840s to 1860s, which might put the young lady's birth in the range 1820 to 1840. Dennis does not know if the subject is a Sackett, but is hoping someone might recognize her. For anyone planning to attend this year’s reunion in Westfield, MA in September, you can now make your hotel reservations. The hotel is the Holiday Inn Express in Westfield, MA. It is located just off exit 3 off Route I-90 which is also called the Mass Pike. The hotel address is 39 Southampton Rd. 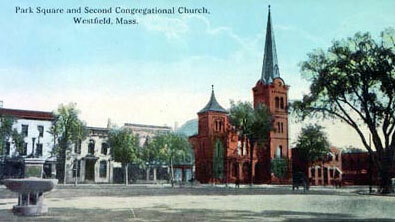 Westfield, MA 01085. The phone number is: 413-564-6900. A block of rooms has been reserved under “Sackett Family Reunion” at a reduced rate of $119.95 per night for the dates of September 19, 20, 21 and 22, 2012. The rooms are all double queen rooms. Please plan your stay so that you check in at least by Wednesday, September 19 as the meeting will begin PROMPTLY at 9 a.m. on the following morning, Thursday, September 20 in the conference room at the hotel. Our meetings are scheduled for the 3 days September 20, 21 and 22 with a group dinner planned for the evening of September 22, so if you are planning to attend the entire meeting, you should plan to check out of the hotel the morning of September 23. If you have not already advised either Deb Barbee or me that you are attending, please do so. Also, some of you mentioned bringing your spouse, family or children and we need to know how many will be in your party and also all the names of those attending with you. This is for head count and also for badges, etc. Making your reservations should go smoothly, but if there are any questions or problems, my contact at the hotel is the manager, Arlee Meade. Or you can contact me at slp3000gt@cox.net.